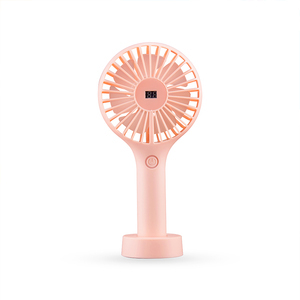 1 YRS Shenzhen Hongpai Electronic Co., Ltd.
4 YRS Zhongshan Topson Electrical Appliances Co., Ltd.
2 YRS Foshan Powerfan Electric Appliance Co., Ltd.
Q2: What's the Minimum order Quantity9 A2: Our minimum order is 1000pcs. Q3: How long is the lead time9 A3: Generally 20days after putting orders. Q5: What&rsquo;s your payment terms9 A5: T/T and L/C payment are available. 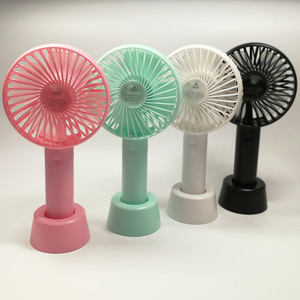 10 YRS Zhongshan Leege Electronics Co., Ltd.
Is a leader of home applianceinZhongshan,Specialized in manufacture and export all kinds of electric fan for more than 5 years. Can you make it9 A: We provide OEM service which including logo printing, gift box design and carton design. Q: How about the Delivery Time9 A: 35 days after the receipt of deposit and confirmation on all designs based of normal condition. 1,Top Quality: We have strict quality control system and enjoy good reputation in the market. 2,Excellent Service: We treat clients as friend and aims at building long term business relationship. Keep high quality and provide excellent customer services. Q2. How do you ship the goods and how long does it take to arrive9 A: We usually ship by DHL, UPS, FedEx or TNT. Q3. What kind of certificates do you have9 A:We have Rosh and CE certificate. Q5: Do you offer guarantee for the products9 A: Yes, we offer 1 years warranty to our products. You can use it everywhere and don't consider whether there is power or not. Always driven by the vigorous pursuit for high quality products and consistency on the words and actions. The Cost of the samples will be returned to the buyer if placing an order more than 1000 pcs. 9 YRS Choice International Trading Co., Ltd. 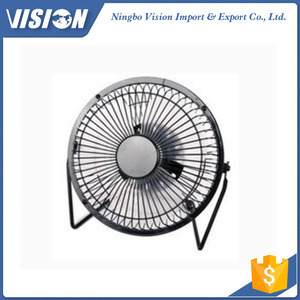 Within industrial and commercial uses these fans have been found useful virtually in all types of environment. Some of its main users are listed below: Household Restaurant and bars Public areas e.g. Warranty: 2 years warranty of product and shipment with free 1% spare parts 7. 1% free spare parts include: Motor, Blade, Fan base, Transparent cover, Grill, Screw, Blade nut, Grill nut, Carton. 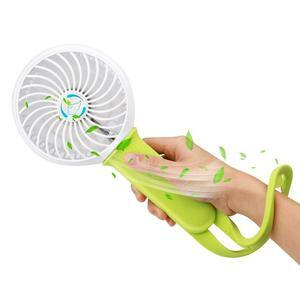 1 YRS Shenzhen Shengfu Intelligent Technology Co., Ltd.
For a better maintenance, be sure that the fans are using under normal circumstances. 1) For sample order: 100% T/T or Paypal in advance, Trade Assurance is also acceptable. 2) For bulk order: 30% deposit T/T in advance, balance clear before pick up or B/L copy received. 9 YRS Zhongshan Lianb Electrical Appliance Co., Ltd.
8 YRS Ningbo Maxpower Industry Co., Ltd.
1 YRS Dongguan Langtu Electronics Technology Co., Ltd.
6 YRS Foshan Shunde Helenbo Electrical Appliance Co., Ltd.
Dimention: 42*52*50CM 30pcs/ctn GW: 10.5kg Exhibition Show: Certification: 1.Does the Item have warranty9 Yes,1 year warranty. 2.Can we customize the packaging &logo9 Yes,we make the costomized packaging & logo. 3.Can we get a sample9 Yes, we can send a free sample to you, but you need to afford the delivery cost. 4.We can supply one year warranty for our motor 5.We supply spare part on FOC for each container 6.We have experienced technical persons to solve your problems. Terms Of Payment: T/T 30% Advanced payment, the Balance against B/L copy or against /LC at sight 2&gt;. Time Of Loading Container: 25 &ndash; 30 days after receiving advanced payment 3&gt;. 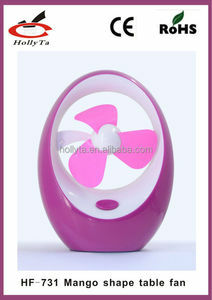 Alibaba.com offers 803 eletric fan products. About 5% of these are fans, 1% are electric heaters, and 1% are axial flow fans. 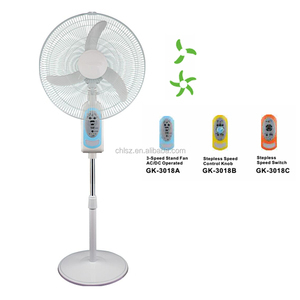 A wide variety of eletric fan options are available to you, such as ce, cb, and ccc. You can also choose from pedestal, table, and box. 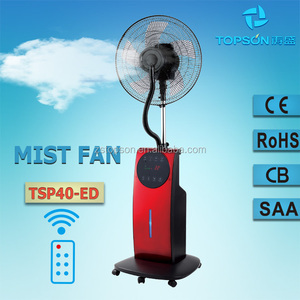 As well as from air cooling fan, water mist fan, and ventilation fan. And whether eletric fan is electric, battery, or solar. 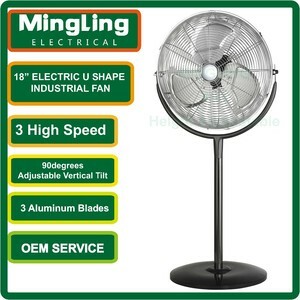 There are 803 eletric fan suppliers, mainly located in Asia. 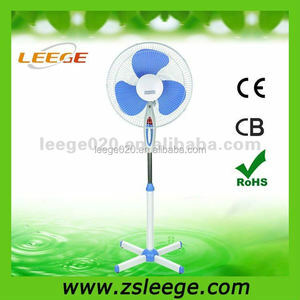 The top supplying country is China (Mainland), which supply 100% of eletric fan respectively. 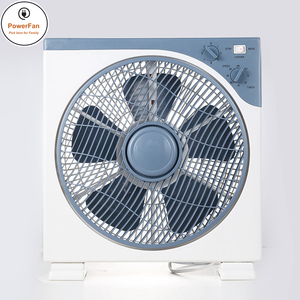 Eletric fan products are most popular in South America, Southeast Asia, and Northern Europe. You can ensure product safety by selecting from certified suppliers, including 164 with ISO9001, 80 with ISO14001, and 48 with Other certification.